You might have heard that raw milk is more nutritious and, therefore, better for your health. However, according to experts, pasteurized milk benefits include a longer shelf life, and there is no loss of nutritional value when milk is pasteurized. 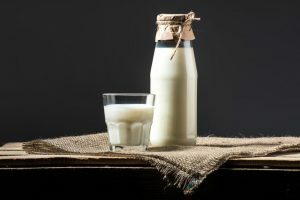 Continue reading to learn more about pasteurized milk benefits, especially if you have been concerned about the effects of the pasteurization process on the nutritional value of the milk. Experts have determined that milk that has been pasteurized is perfectly fine. According to The Western Producer, a bulletin released by the International Dairy Federation, which is based in Belgium, claims that pasteurization is safe and effective. The process is necessary in the dairy industry in order to protect consumers from harmful bacteria that can cause a range of serious diseases. Pasteurization is also used to eliminate other unwanted substances within raw milk, such as pus and blood cells, particularly because many dairy cows end up becoming ill or end up with conditions like mastitis. In other words, to make milk safe to drink, pasteurization is a necessary step. Even though some people have become worried about pasteurization killing off not only harmful bacteria, but also nutrients within milk, experts claim that pasteurization only has a small impact on protein, vitamins, minerals, enzymes, and fat in cow’s milk. Beyond that, pasteurization ensures a longer shelf life for milk. It lengthens the amount of time that milk can be in transit, in stores, and in your refrigerator before it spoils. Bottom line: if you were going to consume raw milk, you would basically be doing it at your own risk, as it contains harmful organisms that can make you seriously ill, and you might also find that it will not last nearly as long as milk that has been pasteurized.